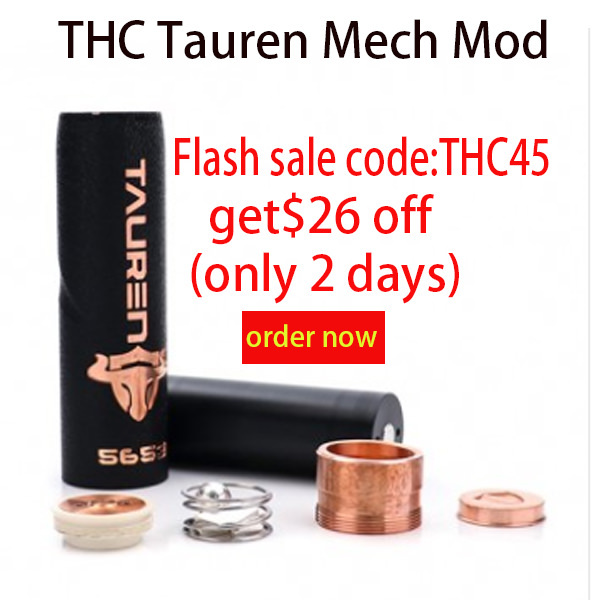 Weekend flash sale coming with coupon code"THC45"get big discount for THC Tauren Mech Mod only 2 days! 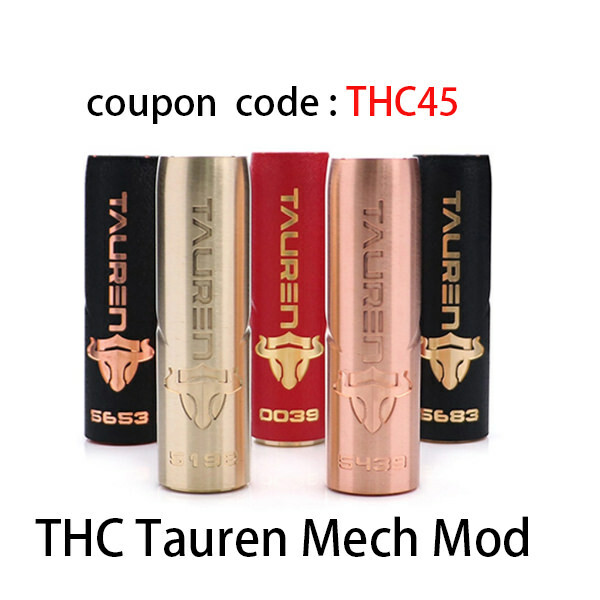 TheTHC Tauren Mech Mod is a high-end device! 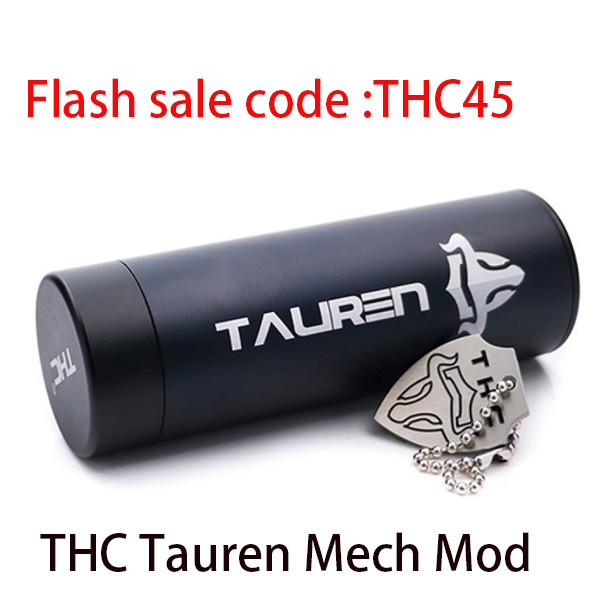 Compatible with single 18650/20700/21700 battery, the THC Tauren has an explosive output and supports firing very quickly and fiercely. Adopts an innovative 360° Full Contact button, no firing hesitation. Made of pure brass and copper matierla, this mech MOD feels really comfortable to grip!